In 1907, my grandfather, Krikor S. Tashjian, immigrated to America from Armenia to pursue a better life. 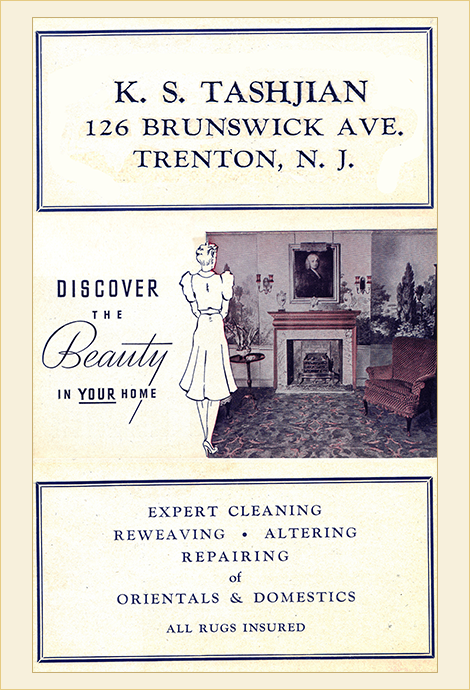 He settled in Trenton, New Jersey and was wed in 1911 to my grandmother, Aznive. In 1912, he started K.S. 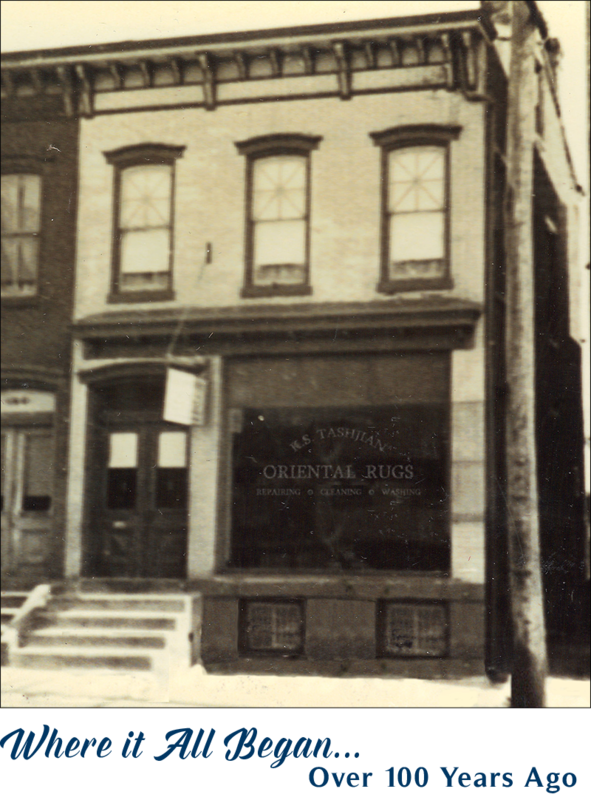 Tashjian Oriental Rugs, which was located at 126 Brunswick Avenue, Trenton, New Jersey. Through the years they raised 2 daughters and a son, Antranig Gregory (Greg), my father, who started running the business in the late 30’s. I grew up in the business, always in the shop as a child, doing whatever I could. 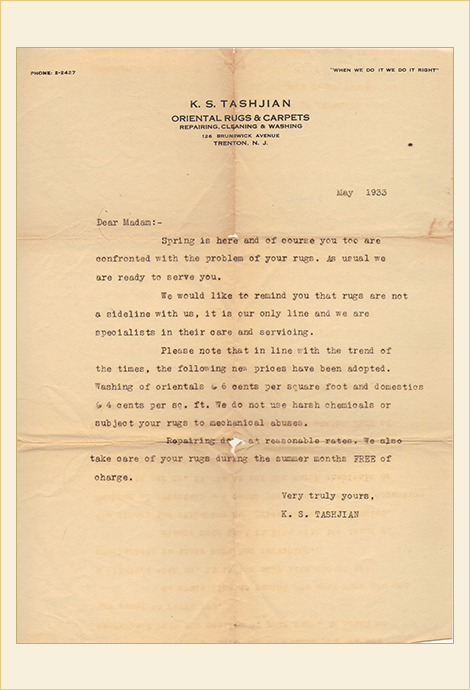 I will often jokingly say “I was born teething on rugs”. In the mid-70’s, I started working full time in the business. And in the blink of an eye, 40 years have passed. I am very proud to say that today my two sons, Wes and Justin have come on board and have been working with me in the business for well over a decade. Four generations is a rarity. More often than not, children do not want any part of their family’s business, especially one that is so labor intense. As I was taught by my father, and I have instilled in my sons, never sacrifice quality by cutting corners. 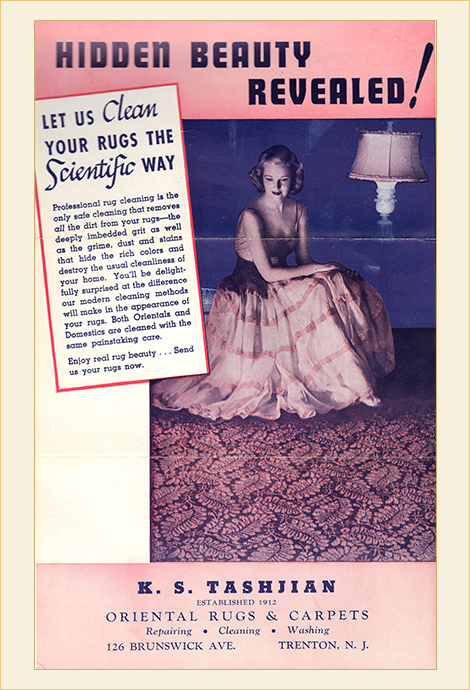 Treat every rug as if it were your own, This is what has given us longevity and what will drive us into the future. 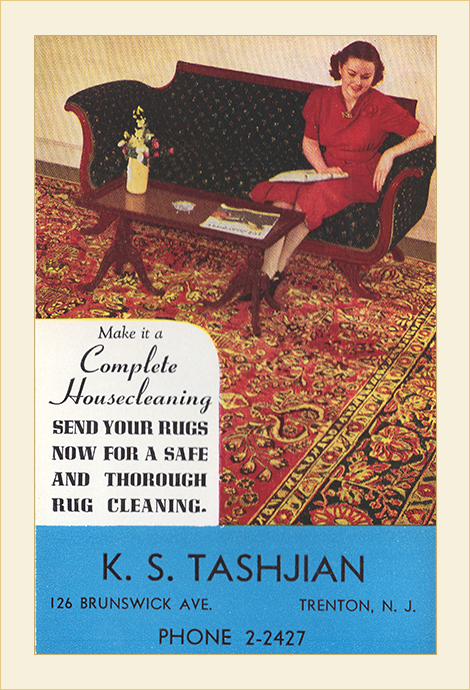 Good old-fashioned workmanship should never be out of style. 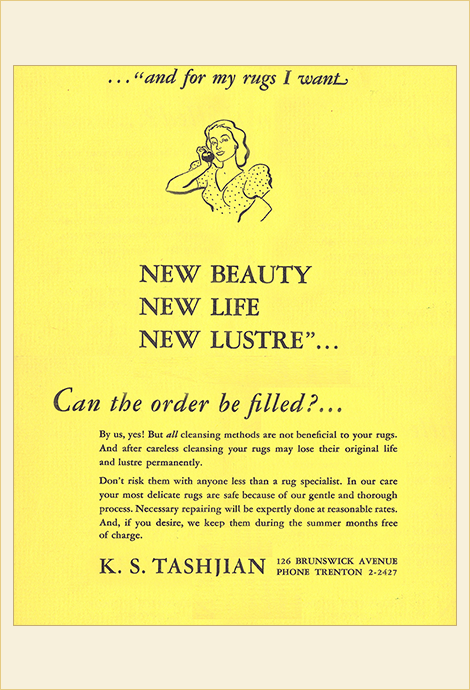 Tashjian’s was around before the internet when print advertising was most common. We’ve collected a few of our favorites from the early years used when my grandfather was still with us. Of course they are of great sentimental value to us and a reminder of the pride we still take in a job well done. The slideshow will automatically scroll thorugh the images, but if you would like to read one, simply hover over the image with your mouse and the slideshow will pause.